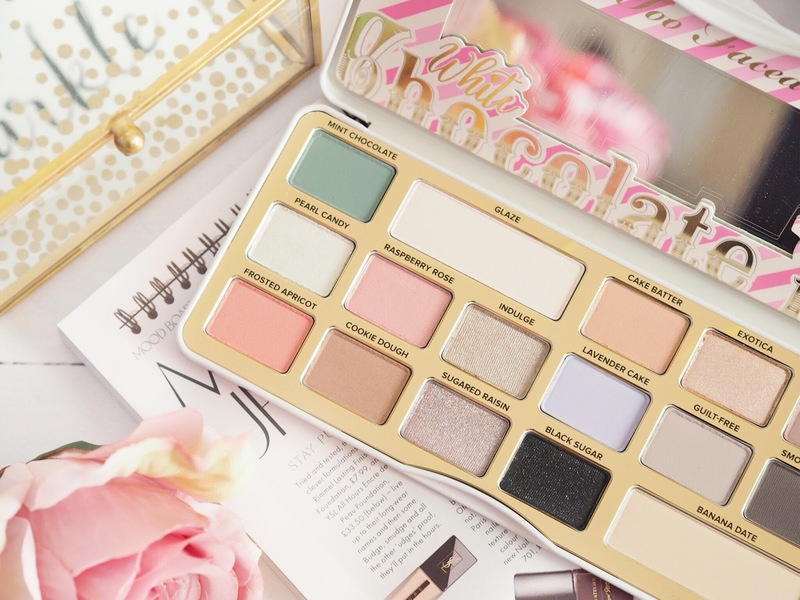 The Too Faced White Chocolate Bar Has Landed! So, the White Chocolate Bar is different to the White Chocolate Chip palette which launched earlier this year, and is more of a mini-palette. 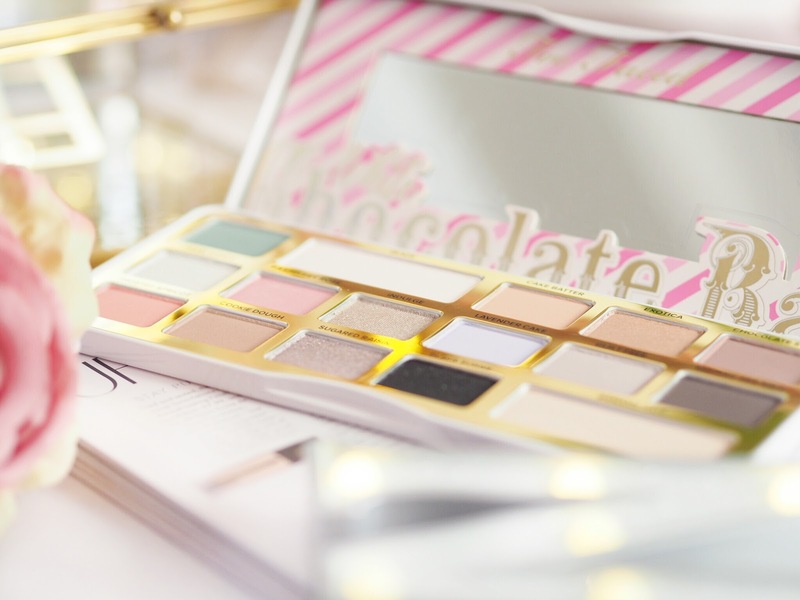 The new White Chocolate Bar is a full sized, 16 shadow palette with metal shell and mirror in the lid. 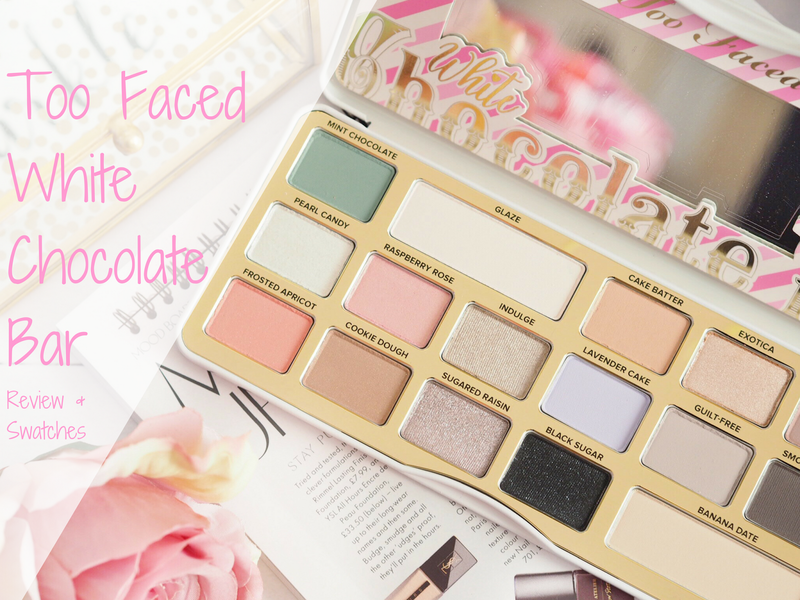 As with all the Too Faced Chocolate Bar palettes, it’s scented too, but with a lighter and softer cocoa scent than the previous editions, so it really does smell like white chocolate! Which means it’s drool-worthy while you’re applying. I can’t get enough of the smell. The finishes of the shadows themselves are a pretty even split between matte and shimmer. And what I like about the shimmers, is that the density of shimmer itself varies between very intense, almost glittery, and then also very subtle. Meaning you can get a good range of coverage across the board. 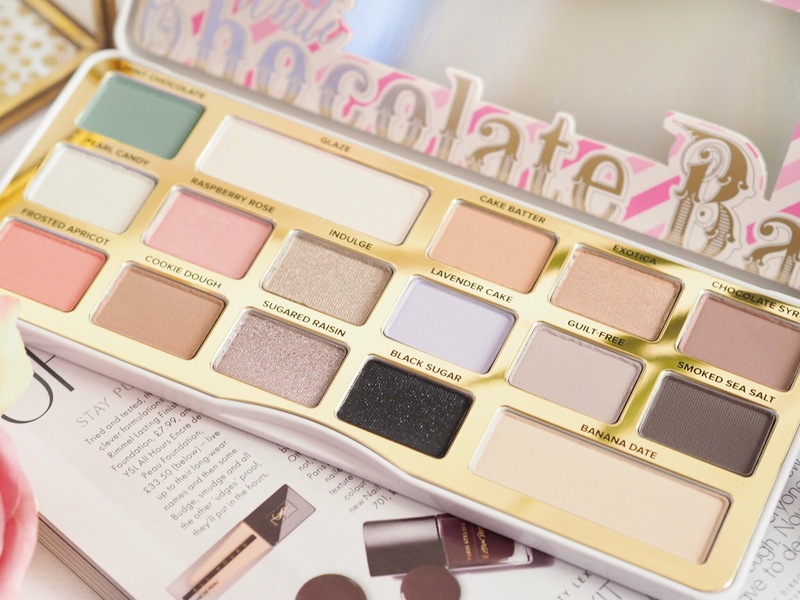 Pigmentation wise, the Too Faced eyeshadows are lovely. They’re very light and powdery, which is great for building up coverage, and their shimmer shades have a deep colour payoff! I love their shimmer finishes because one application and the payoff is outstanding. The matte shades are delicate and can be layered up to create a deeper payoff, so you can go for subtle or all out colours. Win/win really! 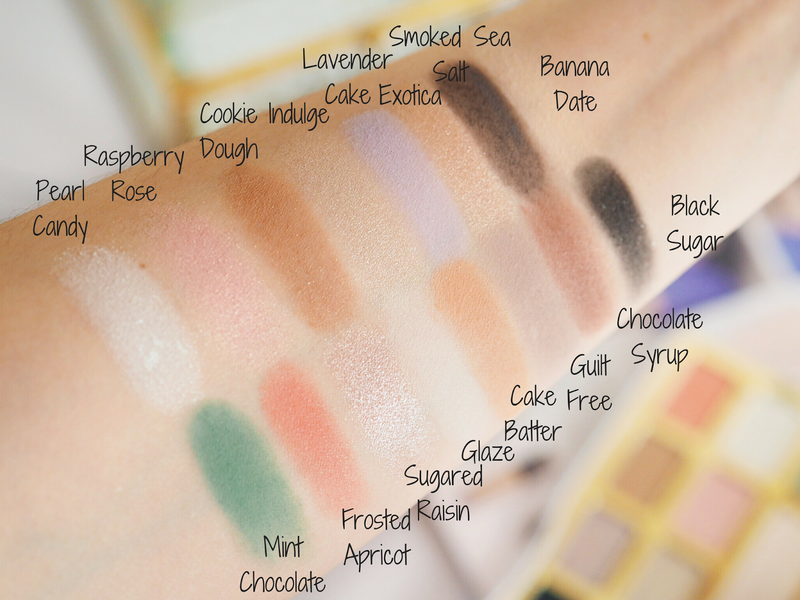 I’ve swatched the palette for you (below) and as always, I’ve swatched without primer underneath – look at the lovely shades and remember that each swatch only has one swipe, so it’s great payoff. 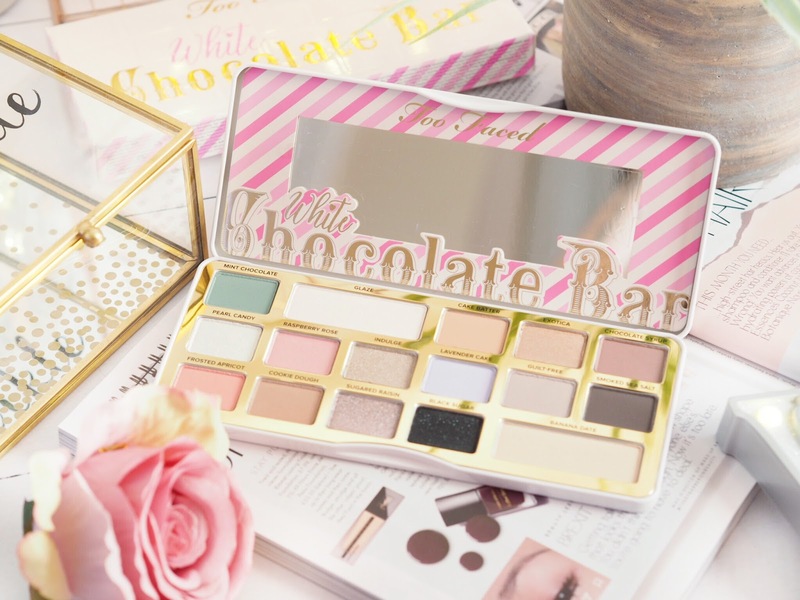 I really do adore this palette, especially for everyday, pretty make-up wear. 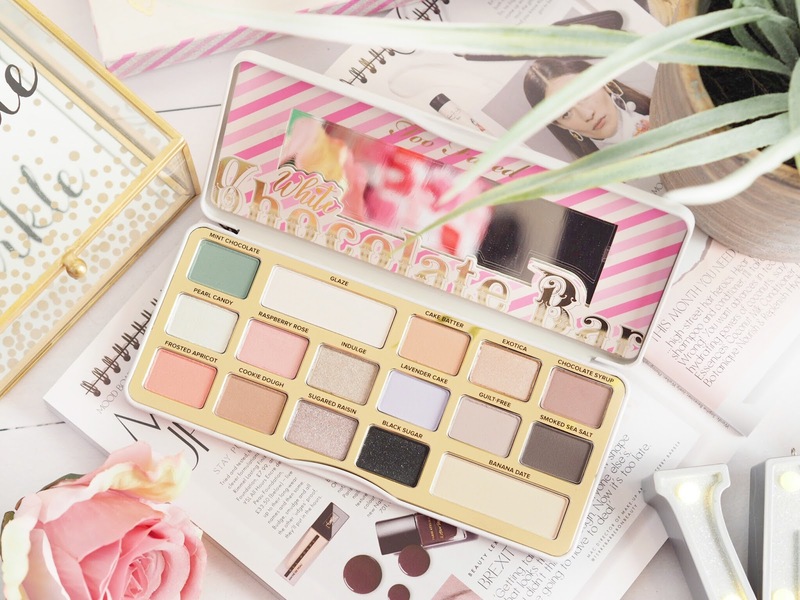 The shades are reminiscent of girlie-girls and delicate make-up looks. For me this is a reach-for palette on the days where you want to girlie-up your look. The shades blend well, you’ve got crease colours, lid shades and brow-bone colours to pick from, so you won’t need to reach for any other eyeshadows, this palette has got you covered for them all. Plus the Black Sugar shade means you can instantly glam up the day-time look, with a deep smokey crease thanks to it’s glittery black colour. 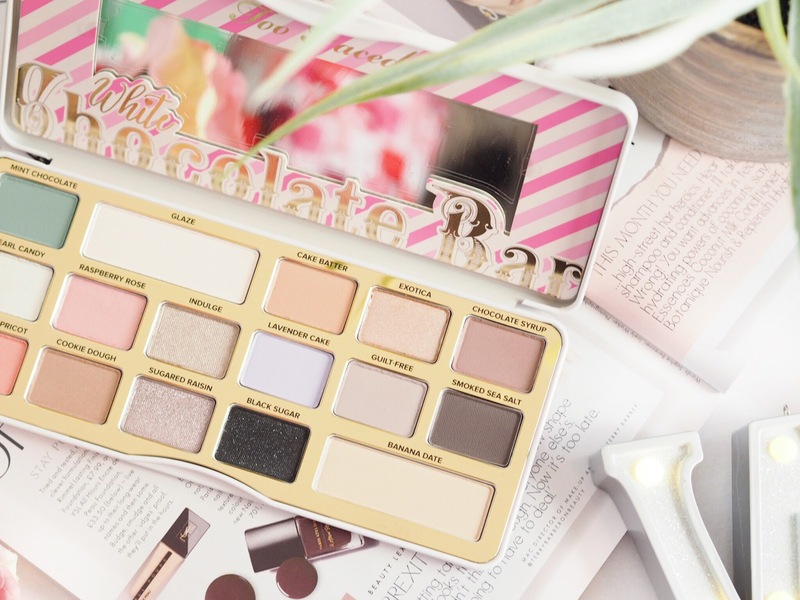 I waited a long time to be able to talk to you guys about this palette because I’ve been using it for a few weeks now (thank you Too Faced!) but it’s finally landed online and you can pick yours up from Selfridges for £39 – or ask Santa to leave it under your tree. You would be a happy girl to find this on Christmas morning, trust me!